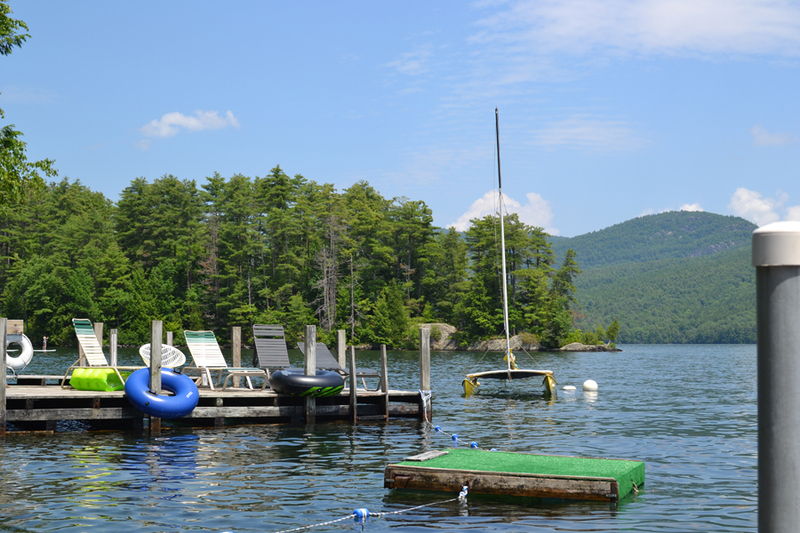 After a couple of weeks’ absence to enjoy a technology-free camping vacation in upstate New York (plus a couple nights in New Jersey just for fun), I’m back in the real world. It was so nice being unplugged and in nature for a while. I couldn’t have checked email or knocked another school or work related item off my to-do list, even if I wanted to. Forced relaxation is a good thing. We stayed in a state park near Lake George in NY for a week, followed by a couple nights camping in New Jersey near the Delaware Water Gap. Aside from a sailing trip that almost ended in being caught in the middle of the lake during a lightning storm (the “calm before a storm” is no joke, and sailboats don’t sail without wind…), it was a great week. The tail end of our trip was prompted after Jeth and I saw a painting of Silverthread Falls in a museum right after we started dating. It was beautiful in the painting, and we made it a goal to visit there “one day”. Well, when we saw that our route home passed right through the area, we decided that “one day” might as well be now. 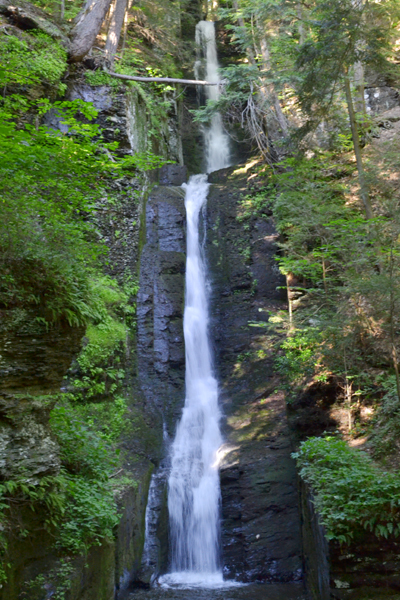 I’m so glad we tacked those days in New Jersey onto the trip, because the area is beautiful and we managed to see not only the one, but nine total waterfalls. All spectacular, and we were able to check something off our bucket list. And now we’re back in the real world, still trying to catch up on laundry and grocery shopping. Is it just me, or does it take everyone at least a week to get back into the normal routine after vacation? We’ve been working on some new stuff for Etsy, and there has been some fun happening in the kitchen as well, which I can’t wait to share. If you’re a lover of cheese and saving money, check back next week for some recipes! Have you been anywhere new and exciting this summer? I’d love to hear about it – we’re always looking for new places to add to our to-visit list!